Exhibition "EYES IN HANDS AND TOUCH IN THE LOOK"
This exhibition proposes a reading of Portugal through archival images of two photographers from the collective documentary Soul Frames Collective, captured over ten years, in which the evolution and mutability of critical aspects of Portuguese territory and society are evoked. The dichotomy of the coast vs. interior, expressed in analogous landscapes, in their contemporary economic activities, demographic disparities, seasonalities and manifestations intrinsic to the specific realities of the place. André Paxiuta was born in Lisbon in 1983. He holds a PhD in Geography from the University of Lisbon and a short visit to the Ar.Co's art school. His focus is on social problems, their interdependence with the natural world and their mutations in space and time. Among the projects developed are the photographic series related to the landless movement in the city of Palmas (Brazil), the use of crack and juvenile violence in the city of Rio de Janeiro, as well as the documentary work on the PAR-Platform for Refugee Support. His photographic work has been published in the national and international press and recognized with international awards by Black & White magazine, International Street Photographer and Social Documentary Network. Carlos Simes, Lisbon, 1981. He began photographing as a teenager and learned the technique of black and white printing soon after passing through the visual arts school Ar.co. He lived in Scotland between 2005/08, where he graduated with an MA in Geography, focusing on migratory flows, issues of ethnicity, identity and contemporary nationalisms. 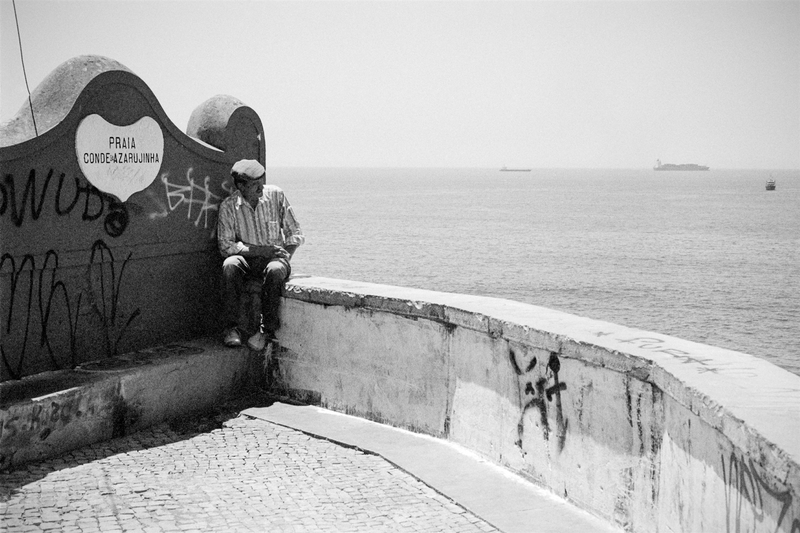 He later moved to Catalonia, documenting the social and cultural reality of the region, the countries he spent off a two-year journey through Europe, and since 2014 on his return to Portugal.